After months of speculation that JEA would relocate to TIAA Bank Field's Lot J, the Jacksonville Electric Authority (JEA) Board has decided to remain in downtown by selecting The Ryan Companies' proposal to design and build a new corporate headquarters on West Adams Street. 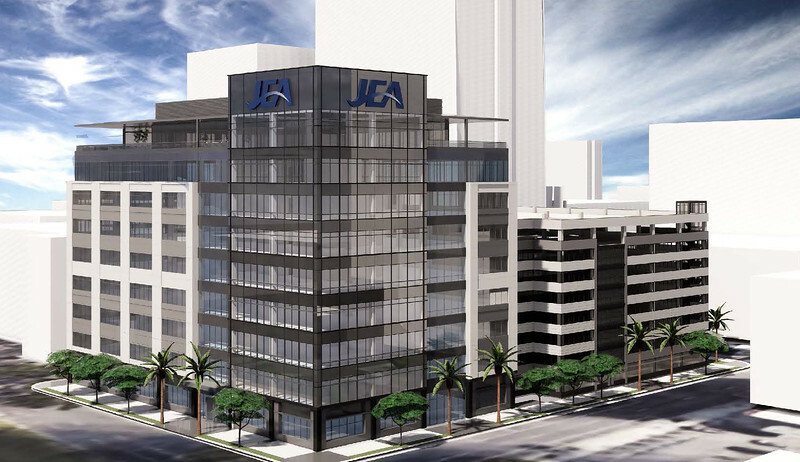 JEA’s board has selected Minneapolis-based The Ryan Companies to develop a new corporate headquarters for the utility in Downtown Jacksonville. The Ryan Companies was selected over a site at Iguana Investments Florida LLC. Lot J next to TIAA Bank Field and a Southbank site near Kings Avenue Station proposed by local developer Mike Balanky. Founded in 1938, the Ryan Companies has developed over 167 built-to-suit projects worth $4 billion in several major markets across the country. Highrise offices developed by The Ryan Companies include the Tucson Electric Power Headquarters in Tucson, AZ, U.S Bancorp Center in Minneapolis, MN, and Marina Heights in Tempe, AZ. For JEA, The Ryan Companies plan to construct a 207,810-square-foot building at 325 West Adams Street similar to a Wells Fargo regional headquarters facility that Ryan developed in 2016. 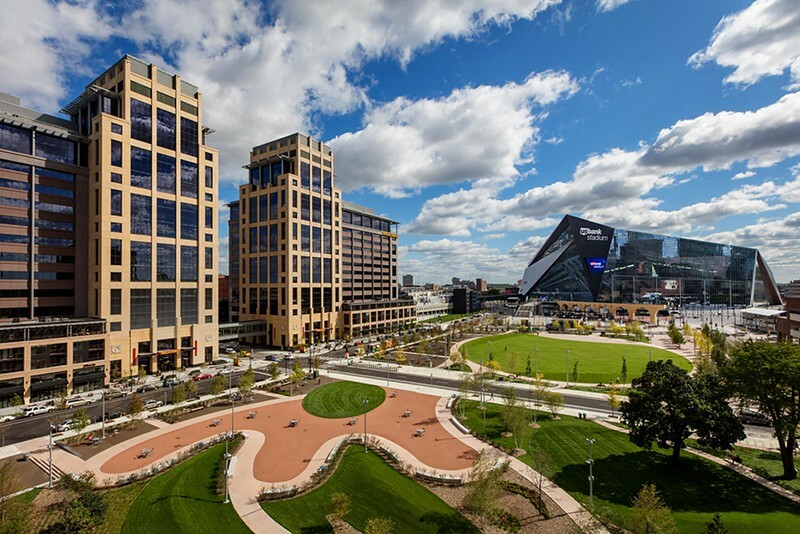 Located in Downtown Minneapolis, the Wells Fargo Downtown East Campus includes twin 17-story Class A Office towers overlooking a two-block public space called The Commons. 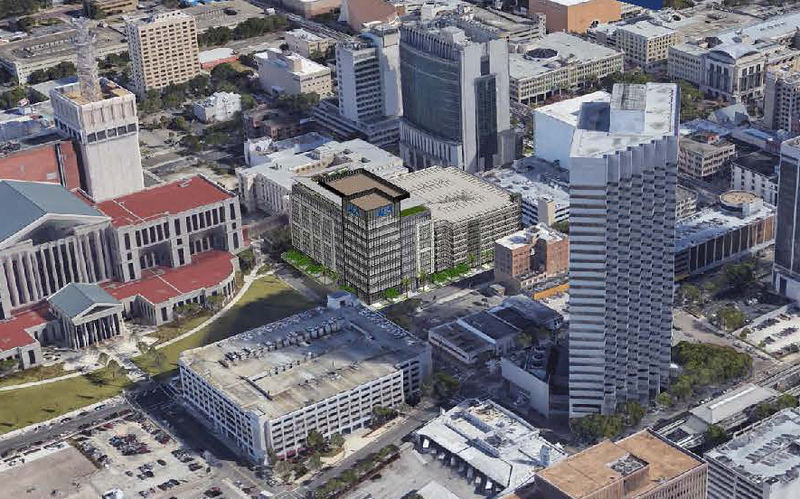 Like Wells Fargo Downtown East, the new JEA Headquarters building would be LEED Gold certified and overlook a two block public green space adjacent to the Duval County Courthouse. In addition, the project would include an 850-space parking garage that would be built at the intersection of West Adams and Julia streets. While renderings indicate nine floors, the building’s height is subject to change depending on final programming and square footage needs. Other identified elements of the proposed office building include establishing a unique identity, safety and security, access to daylighting, variety of working styles, collaborative environment and access to outdoor space for JEA. Conceptual renderings illustrate the possibility of ground floor retail or office space in the parking garage along West Adams and North Julia streets. The top floor would include space for a rooftop cafeteria, a board room, office pace and a fitness center. In comparison to competing proposals at Kings Avenue Station and Lot J, The Ryan Companies touted the West Adams Street’s centralized urban core location, access to public transportation and surrounding Northbank hotels and restaurants. Concerned about the rising cost of remaining in the existing JEA Tower, timing was a major consideration of the JEA board. 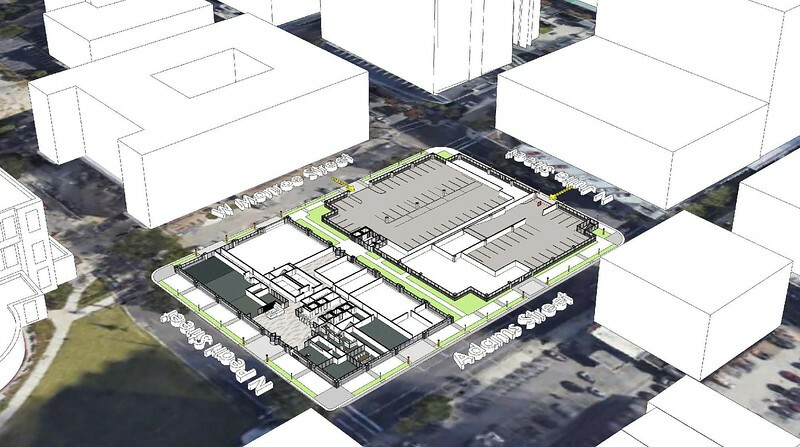 Of the three proposals, the West Adams site had the shortest construction timeline, was deemed less vulnerable to hurricanes and was the only one to include a dedicated parking garage. Of interesting note, a 3,000-space parking garage is planned for Lot J. That garage is anticipated to cost $40 to $45 million to construct; this would likely be funded by taxpayers. According to JEA board chair Alan Howard, The Ryan Companies was head and shoulders above everyone else. Final lease negotiations will begin now and are expected to be completed by June. Construction on the $72.2 million tower could begin in April 2020 with completion in early November 2021. Click HERE for more information on yesterday’s JEA board meeting.